In this blog post, we’ll look at how to restore a single InnoDB table from a full backup after dropping the table. 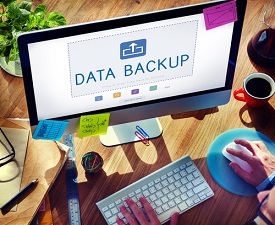 You can also see an earlier blog post about restoring a single table from a full backup here: How to recover a single InnoDB table from a full backup. Of course, you need to test it using the process in production, even though it is relatively straightforward. But how about when you drop a table? It is still a great process because you will lose the table structure and the datafiles. And now you can continue to be happy! Let’s test this scenario. In this test, I am not going to use real world tables. I will instead use good old “t1”. $ sudo mysqlfrm --diagnostic dbtest/t1.frm # WARNING: Cannot generate character set or collation names without the --server option. # CAUTION: The diagnostic mode is a best-effort parse of the .frm file. As such, it may not identify all of the components of the table correctly. This is especially true for damaged files. It will also not read the default values for the columns and the resulting statement may not be syntactically correct. # Reading .frm file for dbtest/t1.frm: # The .frm file is a TABLE. # CREATE TABLE Statement: CREATE TABLE `dbtest`.`t1` ( `id` int(11) NOT NULL ) ENGINE=InnoDB; #...done. # WARNING: Cannot generate character set or collation names without the --server option. # CAUTION: The diagnostic mode is a best-effort parse of the .frm file. As such, it may not identify all of the components of the table correctly. This is especially true for damaged files. It will also not read the default values for the columns and the resulting statement may not be syntactically correct. # The .frm file is a TABLE. You can ignore the warnings. With our simple test, this method worked well. It should theoretically work in a production environment. However, you will need to test this first. Ensure it works for your test environment and test tables. Shako from Azerbaijan/Baku. My hobby is cooking kebap. Bug lover by design.